Go beyond Google AdWords and Facebook Ads dashboards and ask any question you want about your advertising data. Load your ads data into a data warehouse with Segment and use the Facebook Ads and Google AdWords Block by Segment to analyze the performance of one or both of your ads sources. 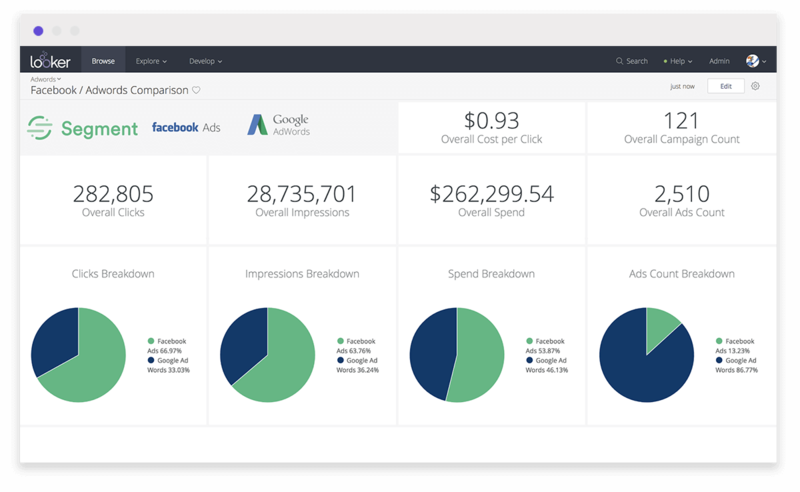 Google AdWords and Facebook Ads Performance Overview: Calculate your total spend across all of your Google AdWords campaigns. 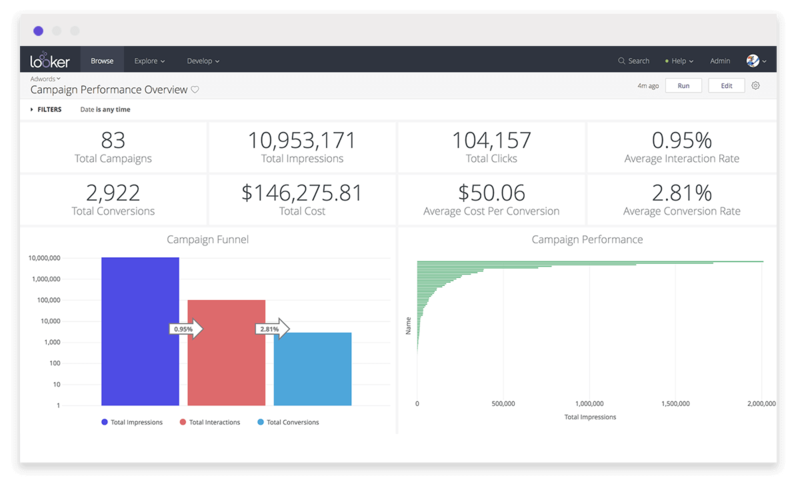 Analyze how each of your campaigns perform based on any parameter. 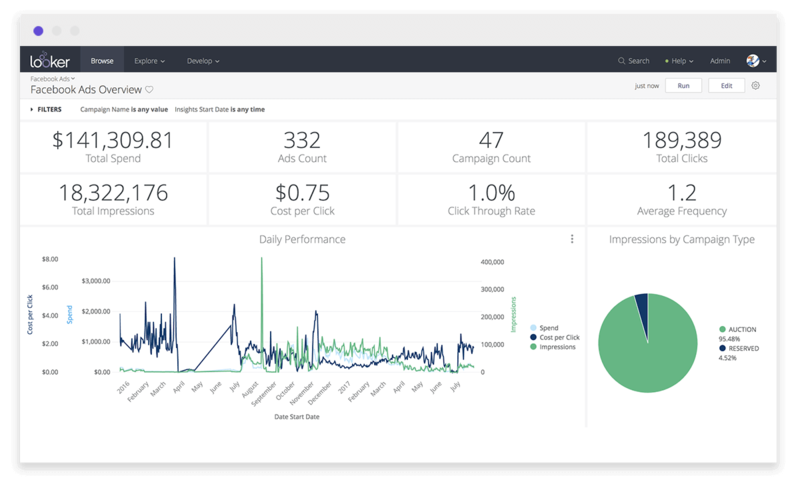 Campaign Lookup: Drill down to analyze your ads data at the campaign level. Customize and extend the block to incorporate the website and mobile data as well as other sources you’re collecting with Segment to provide a comprehensive view of your ads performance in Looker. For example, build a custom attribution model combining click-stream data with data from ads sources to create a complete user journey.